Tim Solms, former vice president and general manager of U.S. public sector at Cloudera (NYSE: CLDR), has been appointed GM of government segment at commercial data and analytics company Dun & Bradstreet. He will use his platform and service management experience in the public sector to facilitate the delivery of services to Dun & Bradstreet’s government clients through the company’s office in Reston, Va., the company said Monday. “Tim has considerable strategic, operational and executional instincts and his knowledge and expertise will bring significant value to Dun & Bradstreet as we build on our long history of providing best in class data and analytics to local, state and the federal government,” said Stephen Daffron, president of Dun & Bradstreet. 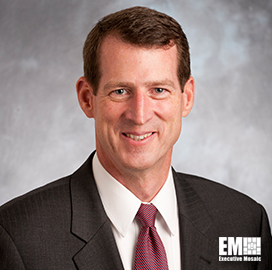 Solms is an 18-year Army veteran who previously served as senior VP and GM of global governments at Forcepoint and held senior leadership roles at Juniper Networks (NYSE: JNPR), Microsoft (Nasdaq: MSFT), Dell and Federal LLC.